Adjusts horizontally as well as vertically. No switch, designed for outlets controlled by a wall switch. 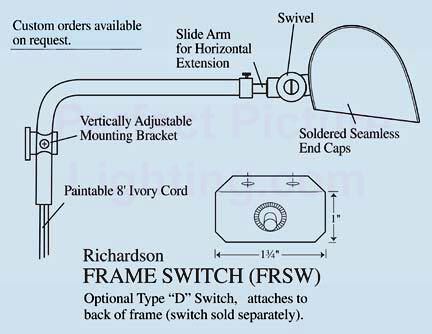 Optional frame switch (FRSW) attaches to back of frame. Shade swivels to aim light exactly where needed.